I get a big kick out of the cartoon for this. 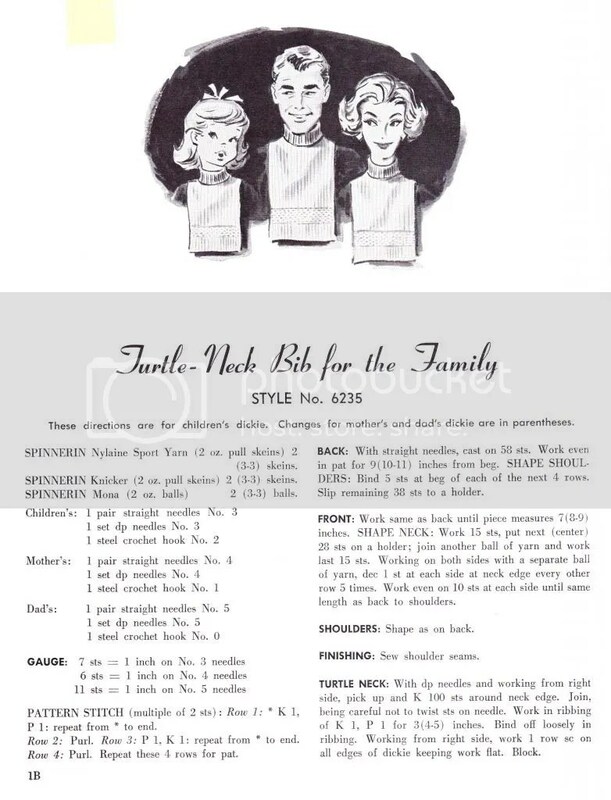 1950s dickies for mother, dad, and child! I wonder why they used ‘mother’ but not ‘father’ here? Hmm. Since it’s quickly approaching winter, I decided against sharing a darling houndstooth print bikini pattern and went with something a bit more weather-appropriate. This entry was posted in knitting pattern and tagged 1950s, bib, dickie. Bookmark the permalink. Yes! I would love to make a knit bathing suit but I am not sure how much use I would get out of it in the end? You’re so lucky to have your grandmother’s book!